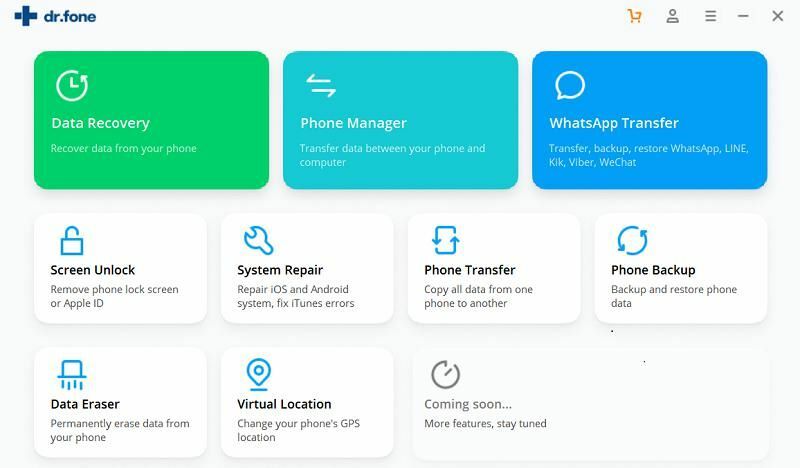 To avoid the loss of some crucial WeChat data, it is important to backup and restore wanted WeChat chat history, photos, videos and more on your mobile devices. 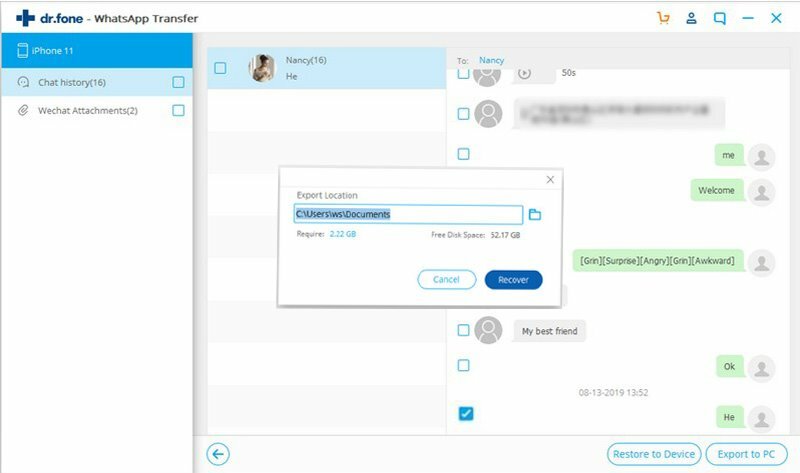 With the iSkysoft Toolbox app, you are able to make a backup of WeChat data and files only within several clicks and can export them to your PC or iPhone/iPad selectively anytime you want. Firstly, you should make sure your iOS device is connected successfully to the PC. Next, you need to download and run the iSkysoft Toolbox app on your computer. After launching the app, please choose “Restore Social App” below. On the screen below, we tap on “WhatsApp” on the left sidebar and then click on "backup" to initiate WhatsApp backup process. Do not disconnect the device while backup is underway. 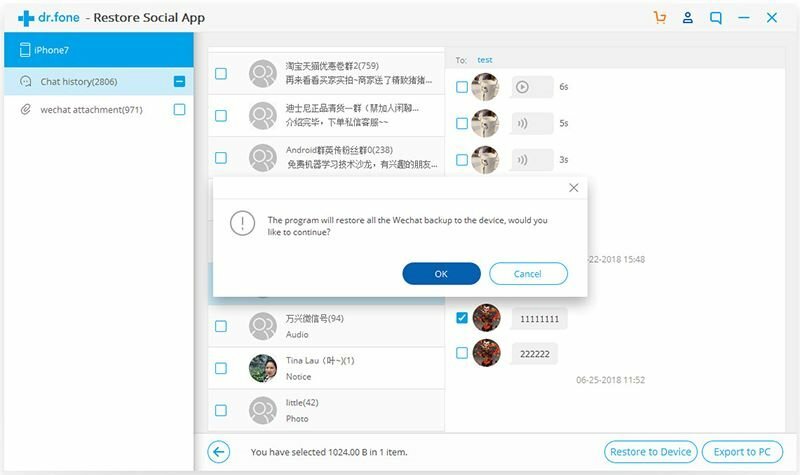 The iSkysoft Toolbox is able to do a WeChat backup quickly and keep all of your WeChat data safe. The program will inform you when backup finishes successfully. 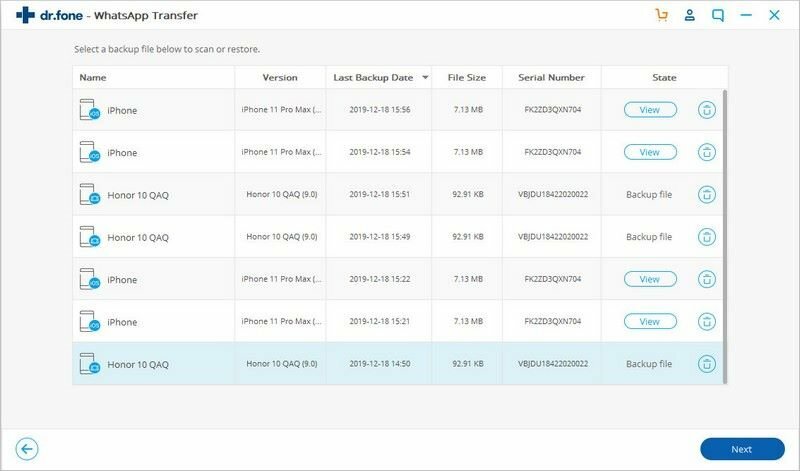 Here you can choose “View it” to check WeChat backup files and export them selectively to the PC or iPhone/iPad. Download and run the iSkysoft Toolbox app on your computer. Make sure your iPhone, iPad or iPod is connected to the PC. Then let’s start with choosing the “Restore Social App” option on the iSkysoft Toolbox homepage. What we need to do next is tap on “WeChat” on the next screen and then hit on “Restore” button. 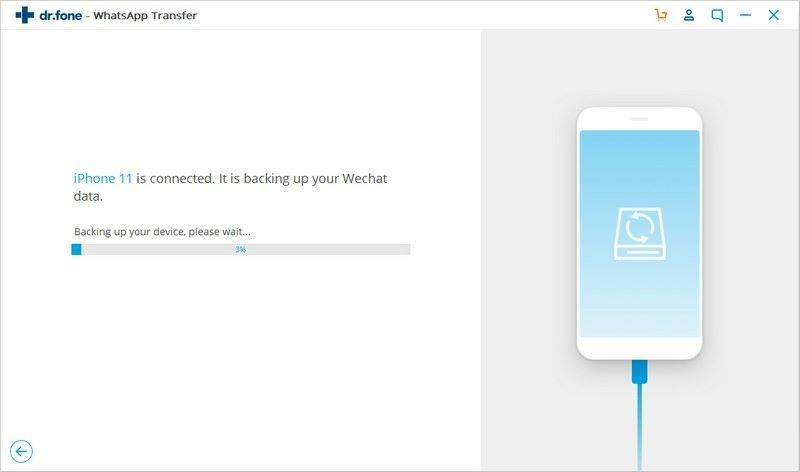 Following the step above, you will see all of WeChat files you ever backed up. Here you can choose one of them and tap on “View”. 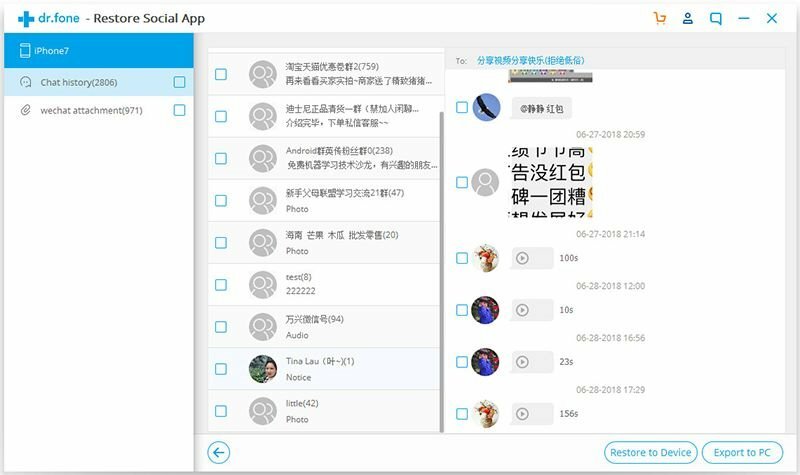 Then the iSkysoft Toolbox will display a list of WeChat data and files. 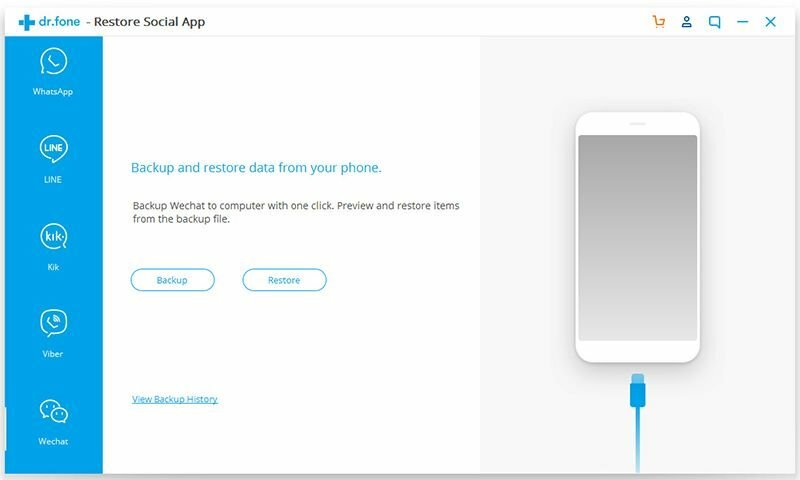 Here you are able to preview WeChat backup files and can tick the types of data selectively you need. 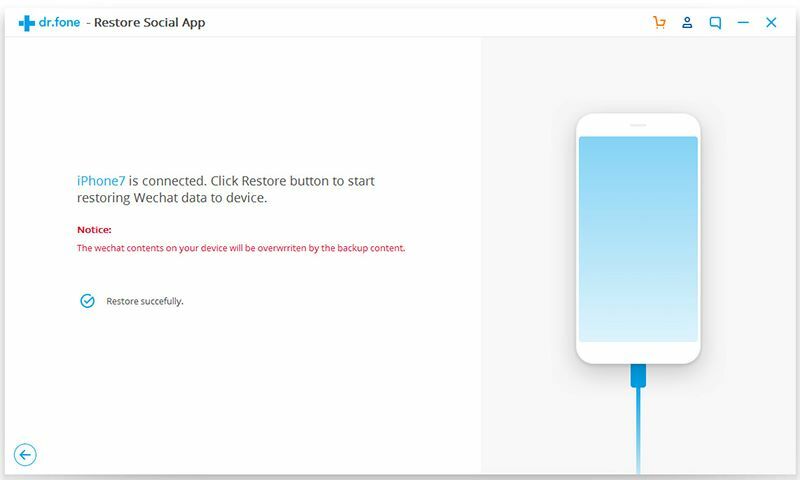 After selecting the contents that you need, please click “Restore to PC” to restore the WeChat messages and attachments to PC. Surely, you can also choose “Restore to Device” on the screen for restoring WeChat backup to iPhone/iPad device. 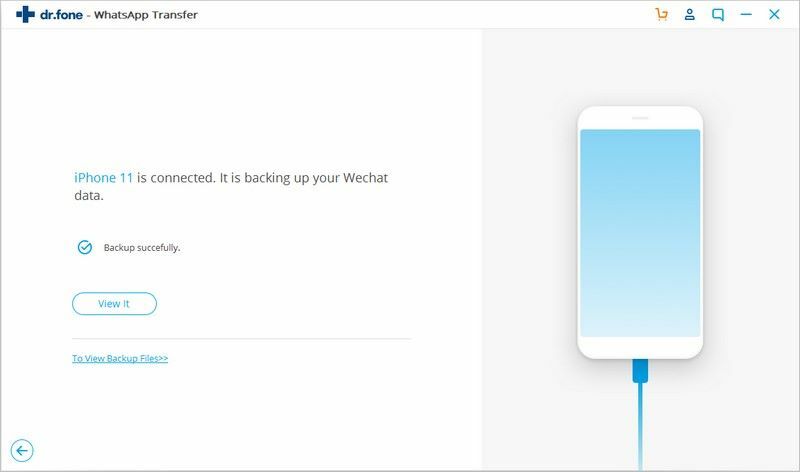 After that, please tap “OK” when a pop-up window comes out stating the program will restore all WeChat backup to your device. Wait with patience when the iSkysoft Toolbox is restoring WeChat messages to your iOS device. 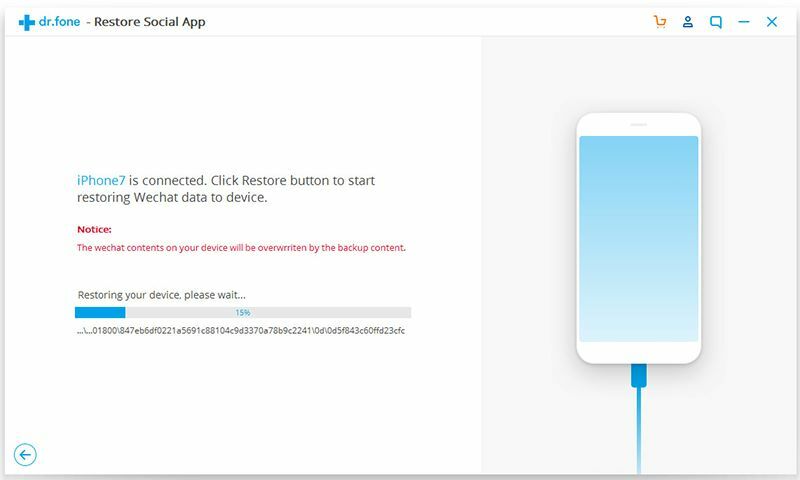 After the restore ends, you can remove the device from the computer and check on the restored WeChats data and files.